William Wilson was born at Preston, England, on 29 March 1887. Dr. Wilson was educated at the University of Manchester and at Cambridge University where he studied radio-activity under Sir Ernest Rutherford and carried on electronic investigations under Sir J.J. Thompson. In 1912, after receiving his doctorate in science, he became lecturer in physics at the University of Toronto and in 1914 joined the Research Department of Bell Laboratories where his background of training and research experience eminently fitted him for the work which was rapidly getting under way. In 1915, Dr. Wilson was sent to San Diego to set up a radio receiving station to listen for signals from the experimental transmitter in Arlington, Virginia. After successful completion of these tests, a program of further research was projected in which he was placed in charge of the research and development work on vacuum tube filaments. During World War I he had charge of the manufacture by Western Electric of vacuum tubes for the Government and in 1918, he became responsible for vacuum tube research, development design and manufacture. Continuing these responsibilities up to October, 1933, he was intimately associated with the development of high-vacuum tubes. In 1925 Dr. Wilson took charge of radio research activities of Bell Laboratories, resulting in short-wave radio telephone systems for communication with Europe and transatlantic liners and in improved ultra-short-wave systems. 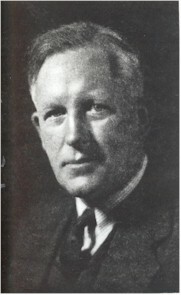 In 1927 he became assistant director of research; in 1934 to his duties were added the supervision of research into problems of communication by wire; he was assistant vice president in charge of personnel and publication from 1936 to his retirement in 1942. Dr. Wilson was active in AIEE, the IRE, from which he received the Medal of Honor in 1943 "For his achievements in the development of modern electronics, including its application to radiotelephony and for his contributions to the welfare and work of the Institute"; the ASA and the American Physical Society. He was elected a member of Sigma Xi. Dr. Wilson taught in the Physic Department at Phillips Exeter Academy and, after his retirement from Bell Laboratories, was Professor of Physics at North Carolina State College. He also found time to paint, was a member of the Salmagundi Club, and did amateur dramatic work in Christ Episcopal Church, Short Hills. Dr. Wilson was married, to the former Ada Eldin, and had three sons: William, David and Stephen. He died on 8 May 1948 at Raleigh, North Carolina. This page was last edited on 9 March 2016, at 16:45.